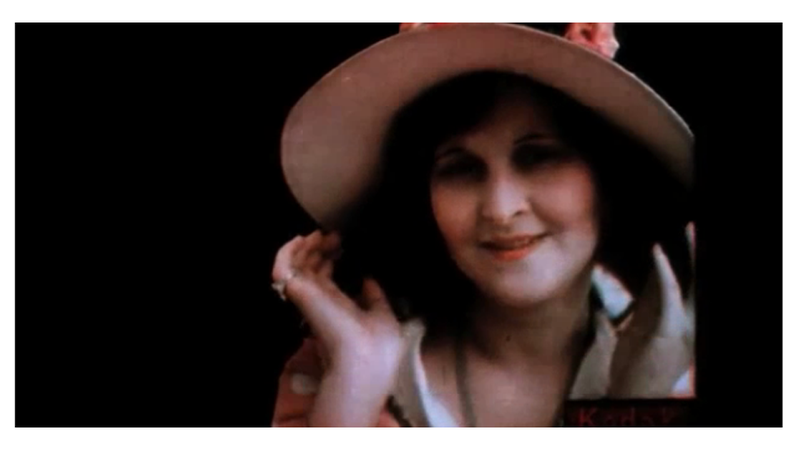 Here's some test footage from 1922 of Kodak's full-color Kodachrome film featuring actresses doing their thing. It's mesmerizing, and the music isn't helping to not lull everyone into a trance. Joan Neuberger at Salon writes that, "[t]heir open expressions of feeling and the particular way they move their hands and tilt their heads, even more than the fashions of their clothes and makeup, immediately mark them as women of the interwar period." Interesting, I thought it was just bad acting. Or, more correctly, the acute self-awareness that's caused by a camera, particularly when you're not used to it. However, for me, their clothes and makeup are what really places them. Also, their bodies — in particular, their smaller chests — are something you don't see often on many actresses today. Either way, it's fantastic stuff. Let's all buy cloche hats and a fuckton of rouge.